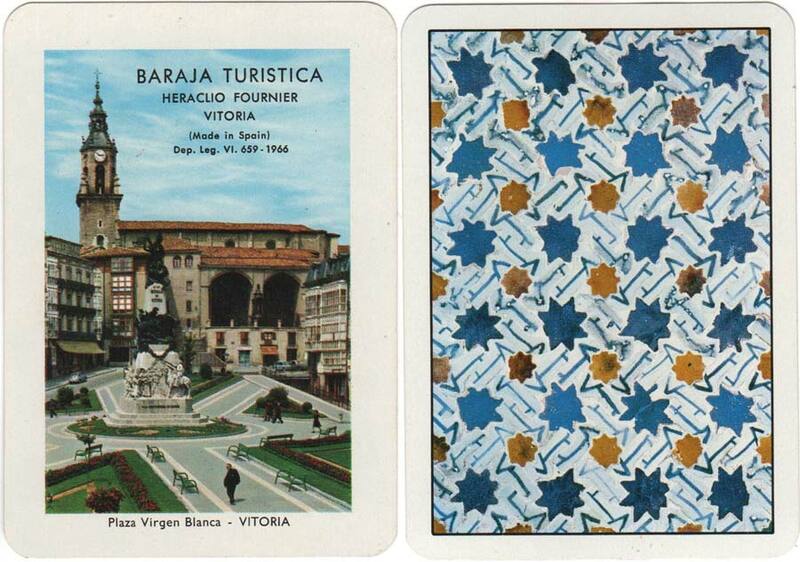 Baraja Turística de España published by Heraclio Fournier, 1966. 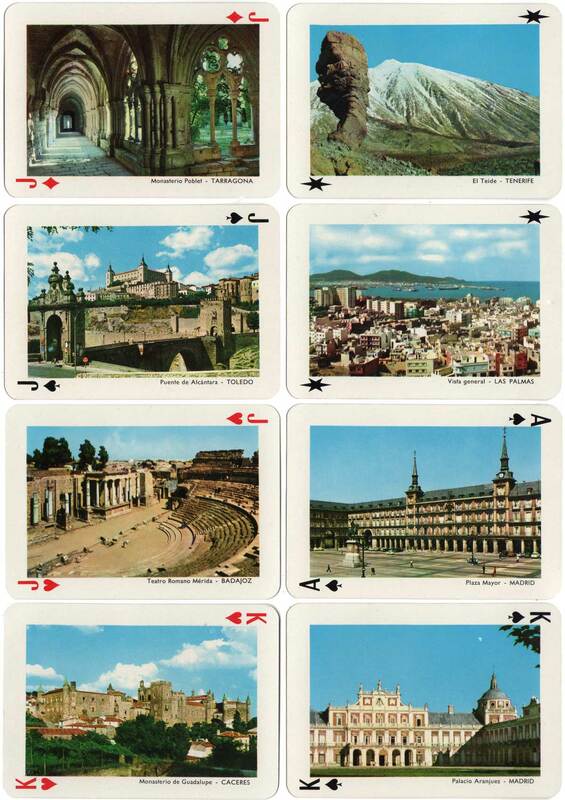 Each card shows a colour photograph of a historic building, monument or vista. Gilded corners. Above: Baraja Turística de España published by Heraclio Fournier, 1st edition, 1966. 52 cards + 2 jokers + extra card in box. Gilded corners. The four of clubs (Leon cathedral) has a green tax stamp. Images courtesy Matt Probert. Ferro Torrelles, Víctor: Variantes en los Naipes de Heraclio Fournier, La Sota No.12, ASESCOIN, Madrid, Feb 1995.